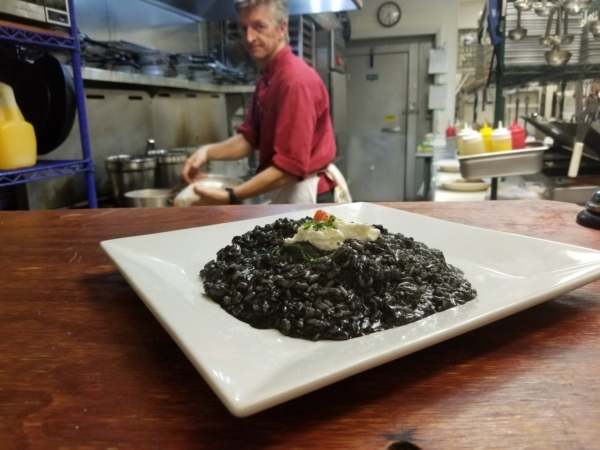 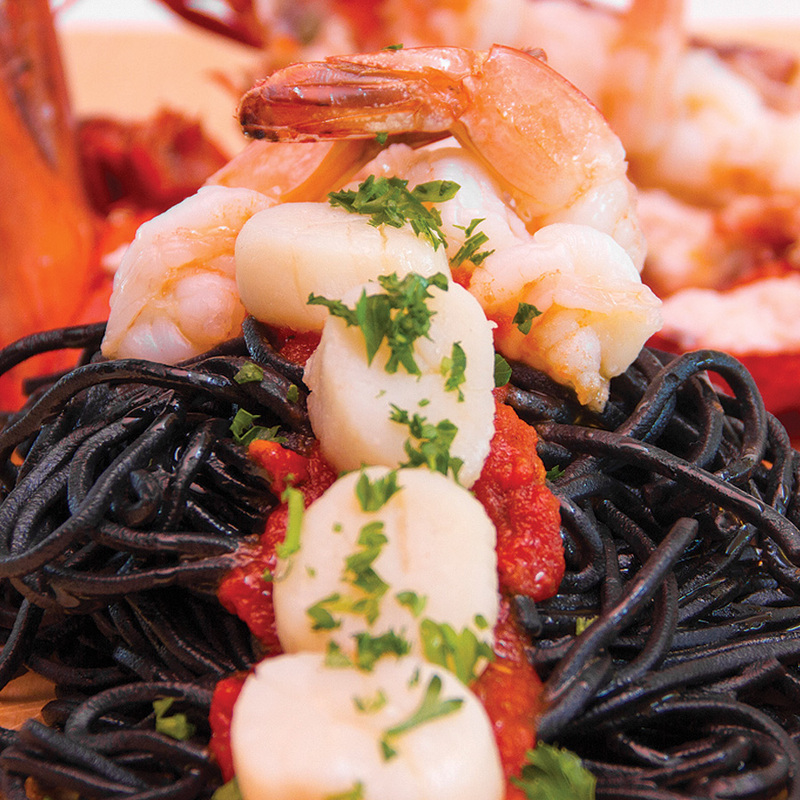 Black squid ink risotto with lobster meat and fresh ricotta. Baked rigatoni meat sauce and melted mozzarella cheese, Focaccia and Caesar salad with parmesan. 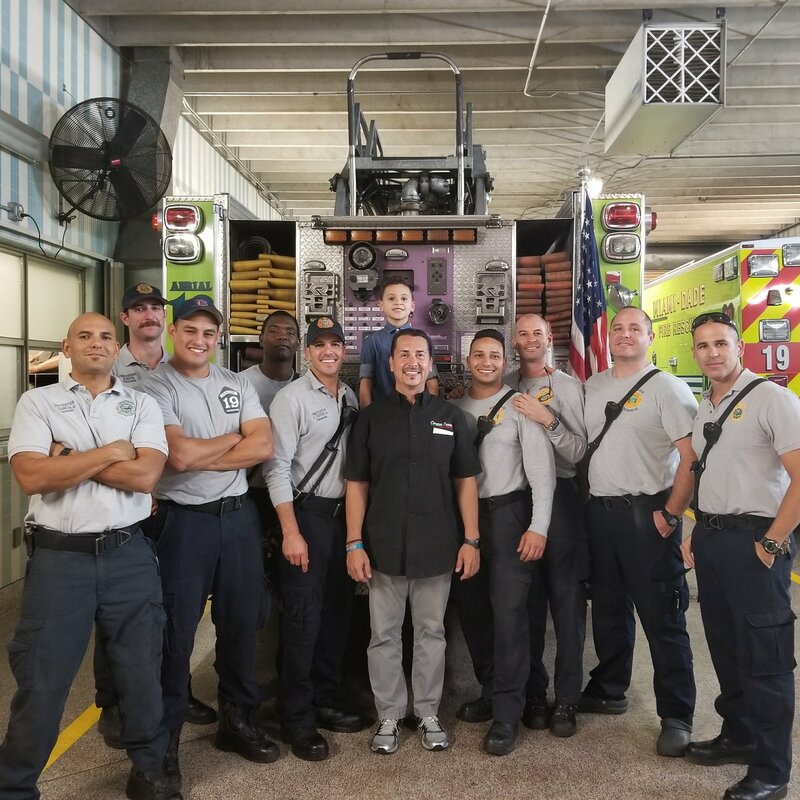 A special thanks to #BlackHearts#MDFR#Station19#Rescue19#Aerial19#Rescue18.